Cardiff have signed Leandro Bacuna from Reading, subject to international clearance. The 27-year-old has signed a four-and-a-half-year contract that will run until the summer of 2023, and the deal is expected to cost Premier League strugglers Cardiff around £3million. 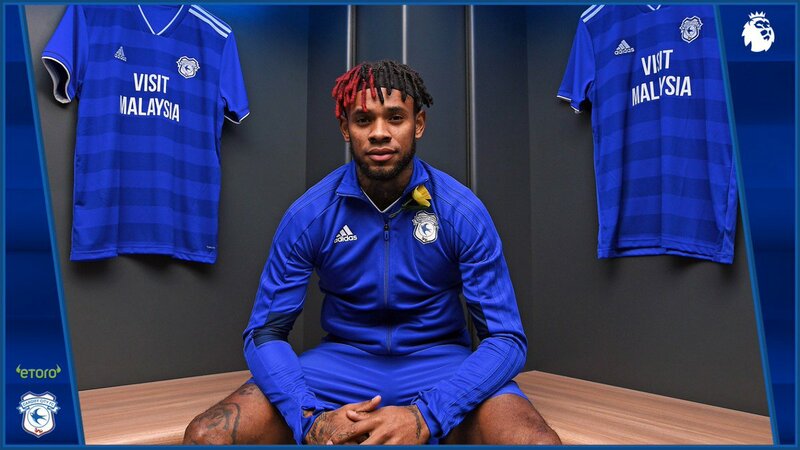 Bacuna, who can play full-back or in midfield, told the official Cardiff website: "A few weeks ago, I was made aware of some interest and it has all gone from there. I'm very happy and looking forward to getting started. "Every game I play I give 100 per cent and I'll be fighting hard to help our team." Paul Clement has been sacked by Reading after less than nine months in charge, the Sky Bet Championship club have announced. The Royals are outside the relegation zone on goal difference after winning just four of their 20 league games this season. "Reading Football Club can announce that Paul Clement has left his position as manager of the club with immediate effect," read a club statement. Reading have signed Dutch youth international Pelle Clement from Eredivisie giants Ajax on three-year-deal. A tense Wembley play-off final between Reading and Huddersfield was settled on penalties. Yann Kermorgant is one step closer to ending his career in the Premier League after firing Reading into the Championship play-off final. Reading escaped with a 1-1 draw from a feisty Sky Bet Championship play-off semi-final first leg at Fulham. Jaap Stam admits he does not know if he will still be Reading boss next season.